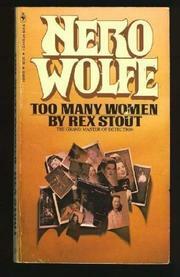 Master of obreption, Nero Wolfe tackles murder in high executive circles, with Archie, his roving reporter, disguised as a personnel expert, surrounded by varieties of desirable females. To find out if an accident is murder, the personalities, conflicts and activities of an engineers' equipment and supply company are turned inside out, and Wolfe's directives bring results after a second killing. Bright befuddlement.